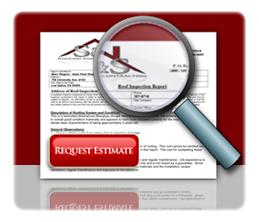 At S&S Roofing & Contracting we specialize in residential re-roofs, repairs, and maintenance. We replace and maintain asphalt or fiberglass shingles, cedar shakes, and cement tile. We offer a display room of samples and work with each customer to provide the best roof for their individual needs. The age of your roof is usually the major factor in determining when to replace it. Most roofs can last many years if properly installed and can often be repaired rather than replaced. Roofs are the most important part of your home’s weather proofing. A leaking roof can cause incalculable damage in a relatively short period of time. Whatever the roofing material may be – composition shingle, wood shake, tile, or metal – the best way to preserve your roof is to stay off it. Also, seasonal changes in the weather are usually the most destructive forces. Homeowner maintenance includes cleaning the leaves and debris from the roof’s valleys and gutters. Debris in the valleys can cause water to wick under the shingles and cause damage to the interior of the roof. Clogged rain gutters can cause water to flow back under the shingles on the eaves and cause damage. Please take a moment to browse through our site to learn more about our company, services and products.